Top laser cutting machine cutting head and control technology, with more confidence, more convenient adjustment, cutting more perfect. Automatic laser welding machine’s laser wave length is 1064nm, the frequency and impulse width of impulse xenon lamp controlled by electricity power generates light wave and then radiates to YAG crystal, the laser beam is focused by optical lens after it can weld. 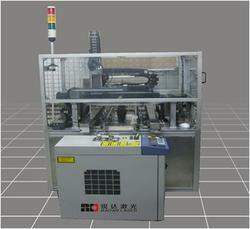 PC controls the light precise movement and revolve for work piece and the machine can automatically weld. The cavity is galvanized cadmium, photo electric conversion efficiency is high, anti corrosion, high temperature resistant,laser generator is designed by foreign advanced technology. Whole sealed constant temperature intelligent cooling system, protect cutting head more efficiently and working steady, long term. 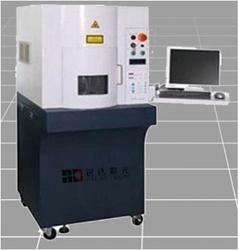 Fiber laser welding machine uses pulse xenon lamp and fiber transmission to achieve welding. The YAG crystal generates 1064nm laser beam by being exposed to light wave radiation which is generated from Xenon lamp with being controlled it’s frequency and pulse, then the laser beam can be used to welding after the process of being spilt coupled,transmitted by fiber, cofused / defocused. This machine uses high quality gilded convergent cavity with high efficiency, corrosion-resisting, thermostability. the generator lifetime is longer. It can spilt laser beam into 2-6path to achieve multipoint welding. Unique design to ensure 360° flexible rotating of the laser generator or head, and moving them in all directions. 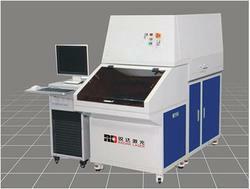 Matched with digital working table and to meet all kind of welding demands. Laser tin-ball soldering ball is laser through fiber transmission, the output port is attached to the top of tin-ball, to provide the inlet for high-pressure gas entrance in the annular cavity, to molten solder ball, then high pressure inert gas can ensure there is enough pressure to molten solder ball dripping, guarantee the tin ball will not be oxidation, high precision, good welding effect. 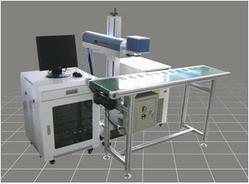 Multi-axis intelligent working platform, equipped with coaxial CCD positioning and monitoring system, effectively ensures soldering accuracy and yield rate. Applied tin-balls spraying soldering, very high soldering accuracy, from 50um to 760um, can effectively ensures the soldering precision especially for the areas sensitive temperature. Universal clamping device, easy replacement. 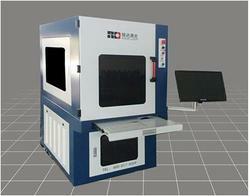 Laser processing has quick heating speed, small heat-affected. 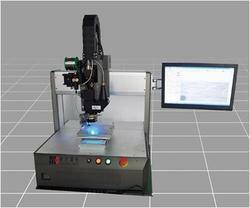 Device to read DXP, PLT file, using high speed scanning system, rapid heating planning area. Special optical structure and the temperature control mode, to achieve constant temperature heating reducing welding residues. Laser soldering machine is laser as heat source brazing technology, using laser beam whose excellent directionality and high power density, through laser beam optical systems will be gathered in a small area, utilizing laser beam direct illuminate the welding parts. Multi-axis intelligent platform can directly read the DPX,GEBER, etc; automatic operation, can process a variety of sophisticated soldering procedure. Coaxial CCD camera positioning and surveillance system for processing, can clearly present the soldering spot and correct alignment real-time to ensure the processing accuracy and automated production. Real-time temperature feedback system, directly control the temperature of the soldering spots and present temperature curve to ensure soldering yield. Four points coaxial-laser beam, CCD, temperature, pilot laser; which perfectly solved the problem that soldering spots, pilot beam, imaging point, temperature testing point are coincident to avoid complex debugging. 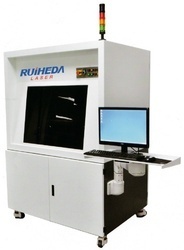 This machine can engrave on thin and thick film resistance by using laser and realize resistance precisely adjusting, according to different application, it will automatically measure output voltage and electricity. Distinctive surveying and controlling technology, enhance products addition value. 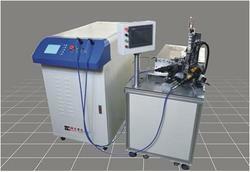 Adopt most advanced laser generator,no need of consumables, low cost. 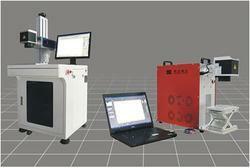 Ultraviolet laser marker processing principle is by optical chemical chemical melting. Ultraviolet laser marker depends laser energy to break atoms or molecules bond, makes it into small molecules and then gasification and evaporation. Good quality of light beam, smaller of focusing spot, can realize super slim marking. Most material can absorb ultraviolet laser, so the application industries are abundant. Heat influence area is very small won’t bring on heat effects, or burn the materials. high marking speed and efficiency. Performance steady, low power requirement. Fiber laser marker is developed by our company joint with Germany and UK which is the international advanced technology. Imported laser generator and scanning galvanometer, photoelectric conversion efficiency is high, power is low, processing speed is fast. 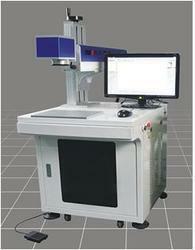 Machine volume is small, beam is good quality , high spot is extremely slim. No consumables, air cooling type. 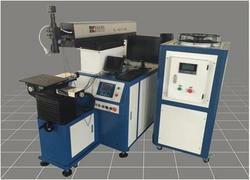 CO2 laser marker is gas laser generator and the laser wave length is 1064nm, the mainly media is CO2 gas. USA imported CO2 laser generator and high speed scanning galvanometer, super high speed and accuracy, working constantly more than 24 hours. The software controlling system has the interface of windows and comprises files output by software. adopt imported radio frequency tube with high speed scanning galvanometer system, by adjusting laser output power to control marking depth, it can mark, engrave, code on top of the products, suit for static marking or flowing line marking for a long and constant time. High marking speed, printing effects are elegant and beautiful, no need of consumables, nontoxic pollution. Flowing line automatic online codes. Laser marking can’t be revised or erased, so it anti forges. Laser coding is no need of consumables such as printing link etc. safety, environment protection no maintenance. Radar laser can provide 80W multimode laser,it’s made of multiple single core section laser diode, has high reliability, fiber output, red light indicator, heat sink cooling, highly integrated power and control. IDL series lasers long life is its outstanding advantages, whose composed of multiple single core section laser diode, different from the Bar, single core section laser diode is not affected by stress in the process of operation, while the light switch doesn’t affect the service life, more suitable for such as soldering or plastic welding. IDL series laser uses an internal fan cooling, fiber laser transmission, only need a standard power plug, lasers by software vis RS232 serial control and monitoring. General processing system platform: apply to FPC cutting, ITO etching, silver pulp etching, covering film cutting and so on.